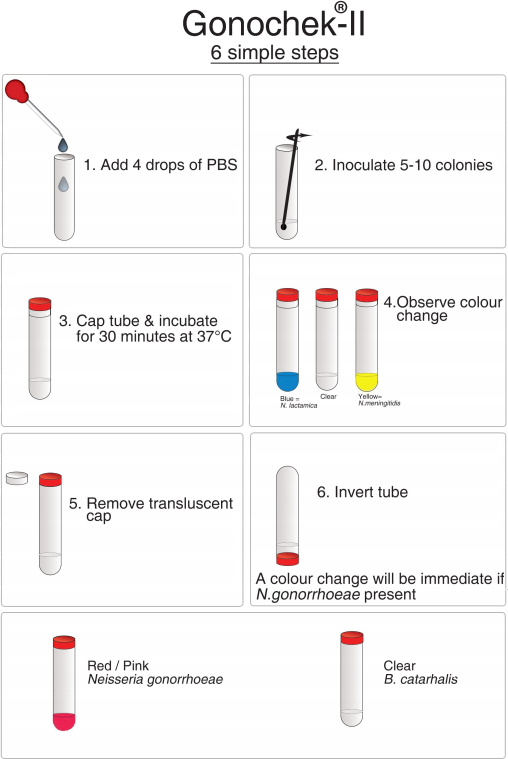 Gonochek® for Neisseria spp - TCS Biosciences Ltd.
Gonochek®-II is the only test that uses a single tube and a single test to confirm and identify Neisseria spp. The test requires only a 2 minute set up and a 30 minute incubation time to confirm N. gonorrhoeae, N. meningitidis and N. lactamica. 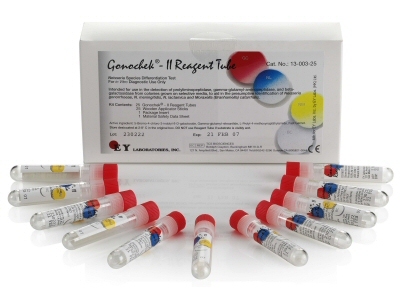 Gonochek®-II is growth and pH independent. Hydrolysis of chromogenic substrates by enzymes within the test produces specific colour changes which confirm pathogenic Neisseria species. Absence of a colour change in the tube is presumptive for B. catarrhalis. 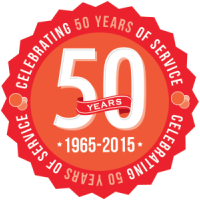 This system provides simple, low-cost self-contained systems for rapid and accurate testing without the need for special equipment or supplies.